Thirty-four 3rd – 6th grade STEWARDS (Student Environment of Arduous Study) students went to the Anita B. Gorman Discovery Center in Kansas City recently to conclude their Conservation unit of study. 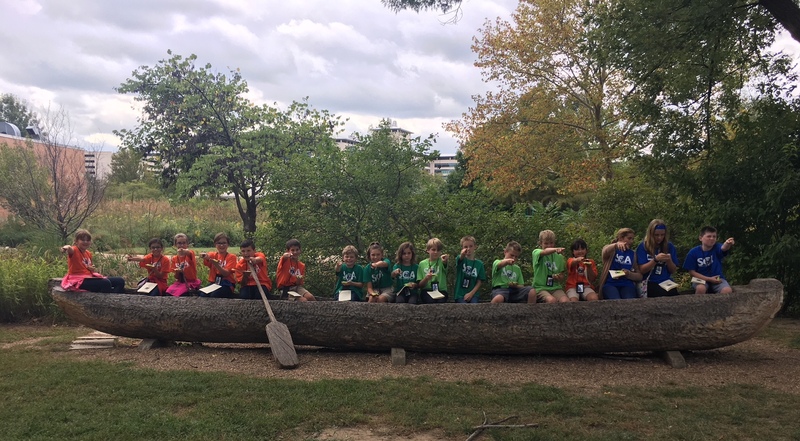 Students participated in Sacagawea and Lewis & Clark activities, involving starting a fire with flint, steel, and glass/grass, using a compass, medicinal plant knowledge, and exploring skills. 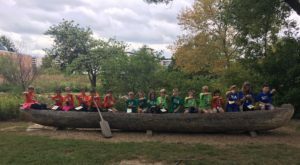 SCA’s STEWARDS program is for those students who demonstrate significant development of mental capacity and learning potential to the extent that continued educational growth and stimulation could best be served by an environment beyond typical grade-level curriculum.